AMD may not be getting as much enthusiast love as it used to, but the company's APU range is still where it's at for home theater-style systems, so I didn't hesitate to pick one up for a new compact media-streaming box recently. Unfortunately, while the chip was a relatively powerful yet affordable solution for playing 1080p content, it was surprisingly loud -- we're talking enough noise that I thought something was wrong with my power supply. Upon inspection, it wasn't the PSU and nothing was wrong per se, the stock AMD cooler was just being obnoxious, especially for a living room setup. I thought I could get away with slowing the CPU fan in the BIOS, but that caused a drastic temperature spike and left me seeking a more elaborate solution. 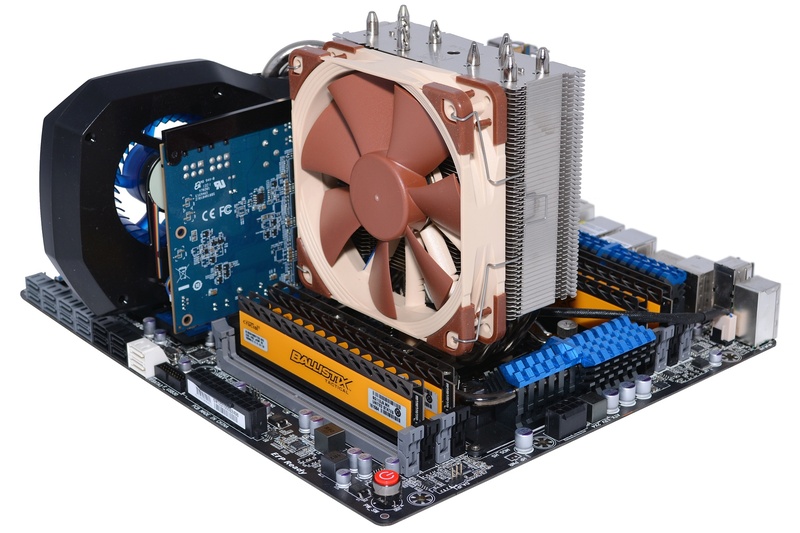 It's one that proved to be relatively simple: the Xigmatek Janus, a small heatsink and fan combo for Mini-ITX systems. Strangely enough, that very same day I found myself facing another CPU cooler problem while building a Sandy Bridge-E rig with my friend. Having bought all the parts, we discovered that the Core i7-3820 processor didn't come with a cooler. Instead, Intel sells its heatsink/fan separately for $30. Although I knew he'd need a cooler, I wasn't prepared to answer my buddy's question when he asked which model to purchase. 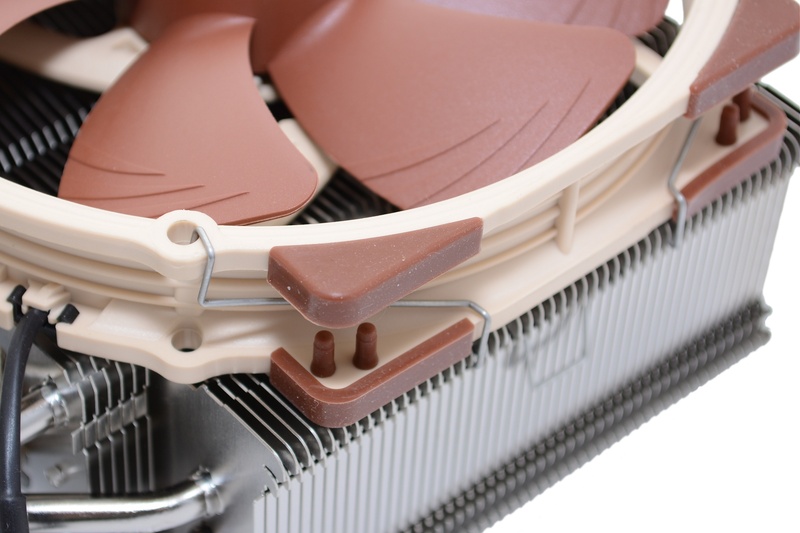 It had been years since our last CPU cooler roundup so my knowledge was a little dated. 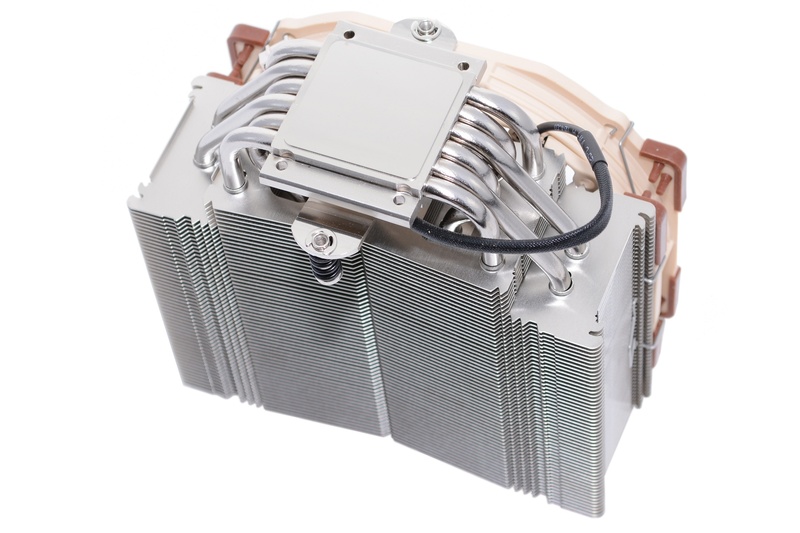 With the recent arrival of Ivy Bridge-E (see our Core i7-4960X review), I felt it was a good time to check out the latest aftermarket coolers. 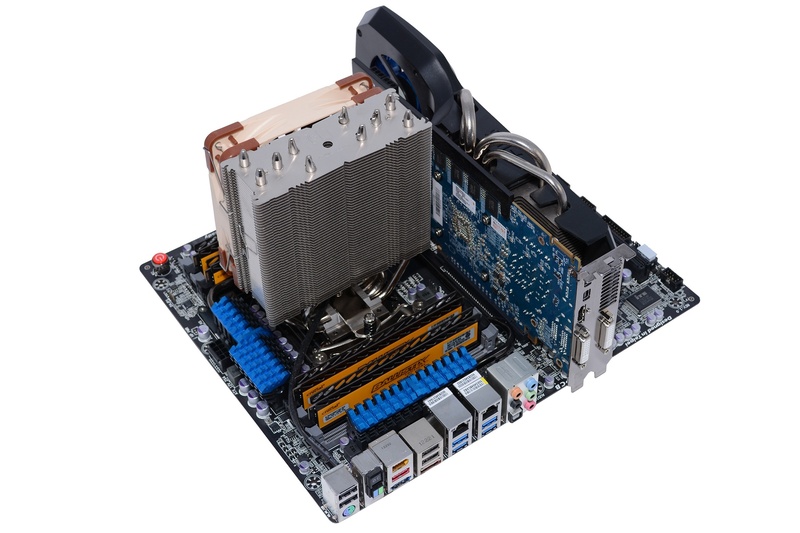 The new chip is fully compatible with Sandy Bridge-E/EP's LGA2011 socket. 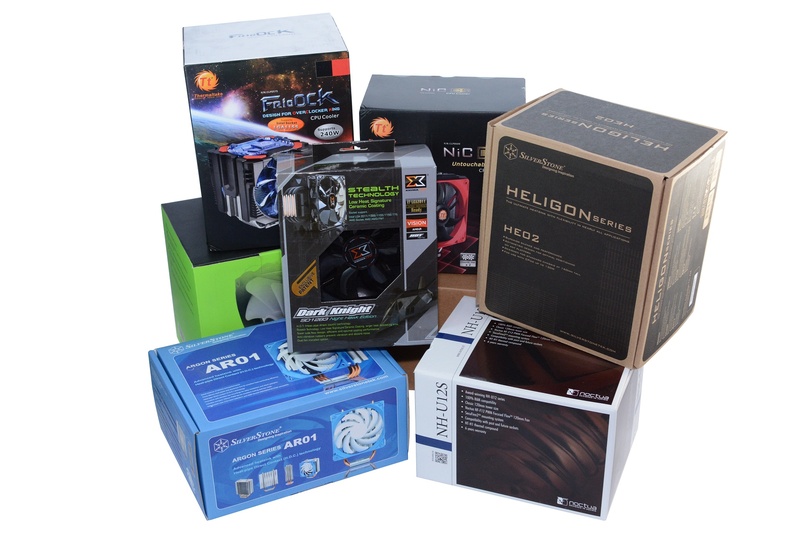 We contacted all the major players and received 10 heatsinks to test including units from Noctua, Thermalright, Xigmatek, Silverstone and Thermaltake. 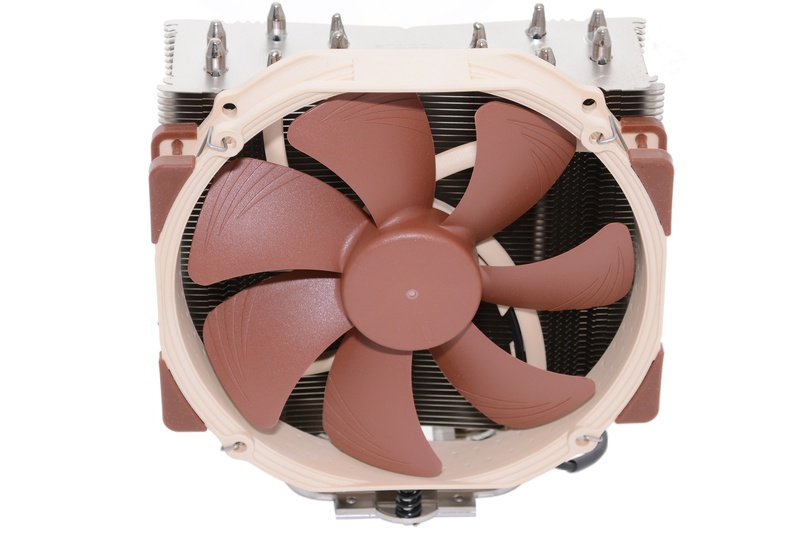 The Noctua NH-U14S and NH-U12S are among the most recently released coolers in this roundup. Whereas the NH-U12S comes with with the renowned NF-F12 120mm fan and succeeds the popular NH-U12P SE2, the NH-U14S is the series' first 140mm model and uses the new NF-A15 140mm fan. Both models have a new slim design that ensures easy RAM access and maximum compatibility with tall modules. They feature PWM fans for convenient automatic speed control through the motherboard, but you can also lower the maximum fan speed from 1500 to 1200 RPM using a supplied low-noise adapter. 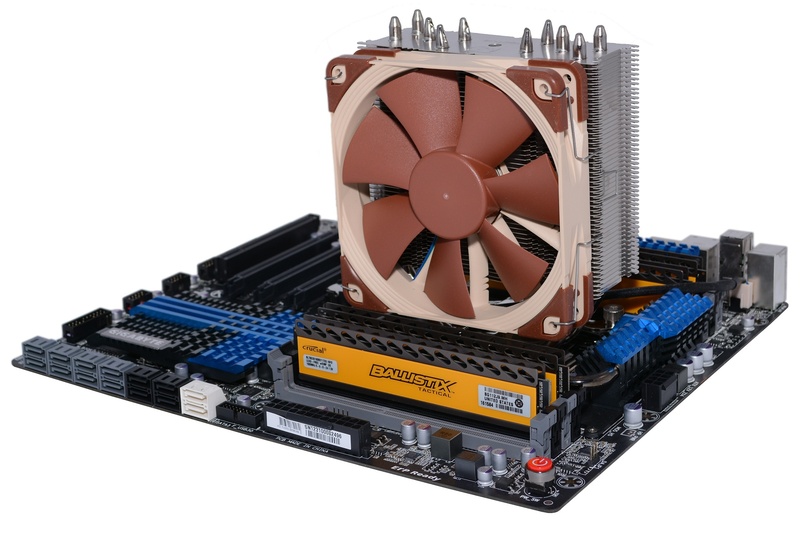 With a fin depth of only 45mm, the NH-U12S doesn't overhang the DIMM slots and wouldn't even with two fans installed. 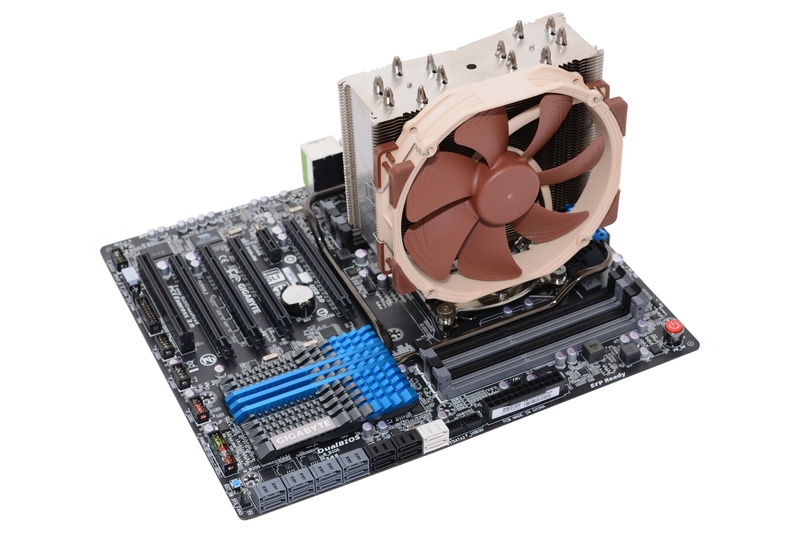 Its slim profile provides full access to the memory on motherboards with all modern processor sockets and guarantees total compatibility with tall heatspreaders or optional memory fans. 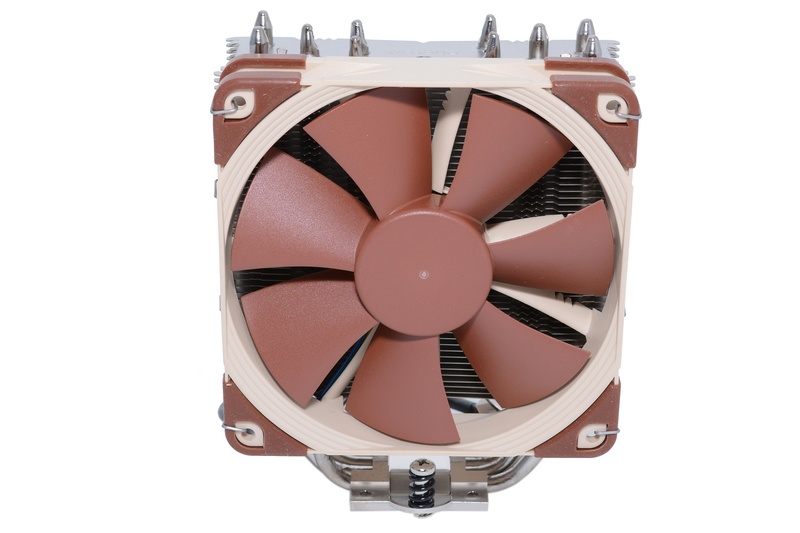 Without fans, the heatsink measures 158H x 125W x 45D mm. With a 120mm blower attached, the cooler measures 71mm deep and weighs 755 grams. 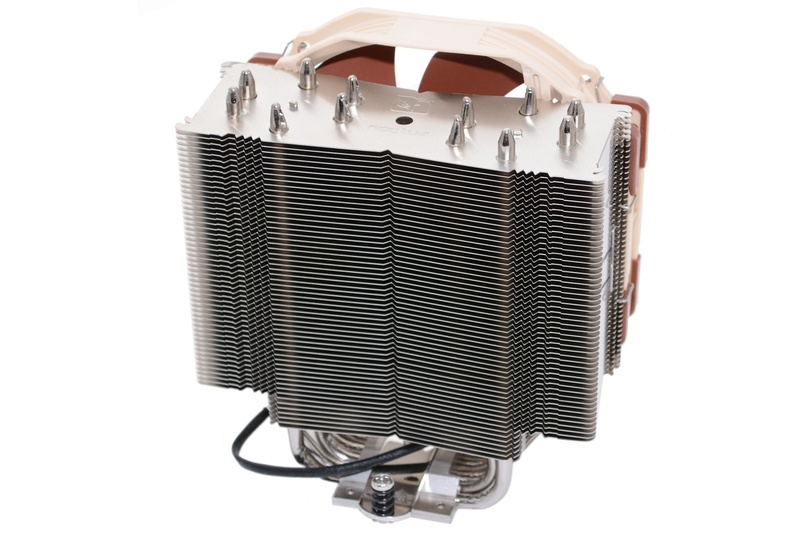 The heatsink features nickel plating and a copper base with five double heatpipes that extend up into an array of aluminum fins. 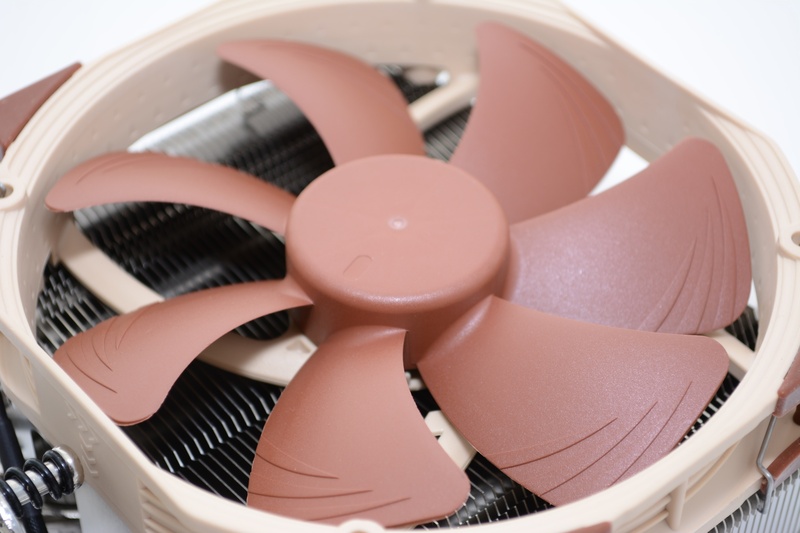 Along with a heatsink, the package includes one Noctua NF-F12 PWM fan that uses SSO2 (self-stabilizing oil-pressure bearing) bearing technology. If you're unfamiliar with the feature, it combines oil-based hydrodynamic bearings with an additional magnet that supports rotor axis' self-stabilization. With a stabilized axis, SSO fans last longer than ball, sleeve or hydrodynamic solutions. SSO2, of course, is the technology's second-generation. It comes courtesy of metal bearing shells as well as new injection molding techniques and moves the magnet closer to the axis for even more stabilization and durability. The fan is designed to operate at between 300 and 1500 RPM while the low-noise adapter that we mentioned earlier can cap the maximum RPM at 1200. The Noctua NH-U12S comes with the SecuFirm2 mounting kit which allows for installation on the Intel LGA2011, LGA1156, LGA1155, LGA1150 & AMD AM2, AM2+, AM3, AM3+, FM1, FM2 (backplate required) platforms. At $70, the NH-U12S isn't exactly cheap, but premium parts rarely are. The NH-U14S is the NH-U12S's big brother, featuring a very similar design, just on a grander scale. 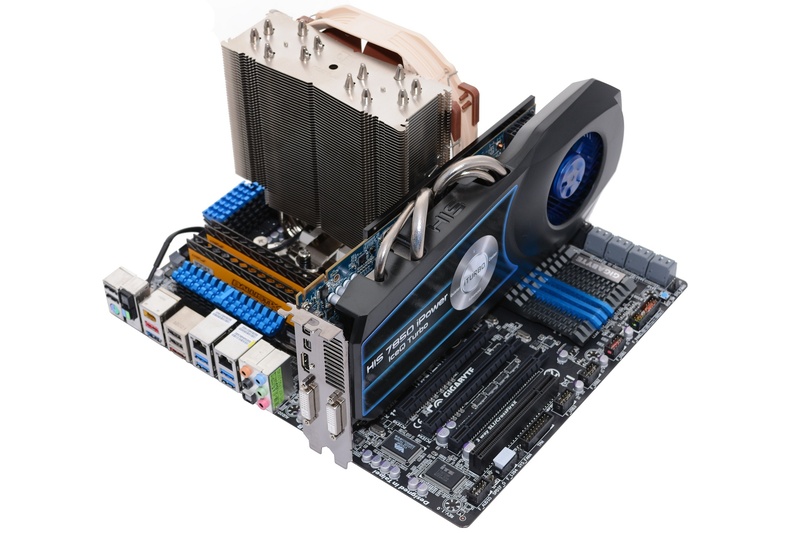 The larger model features a 52mm design (15% larger than the NH-U12S) that is tailor-made for the LGA2011 platform. As a result, it doesn't interfere with the DIMM slots on this platform. It's bigger in the other directions too at 165H x 150W and it weighs 770g alone -- more than the NH-U12S with its fan mounted. 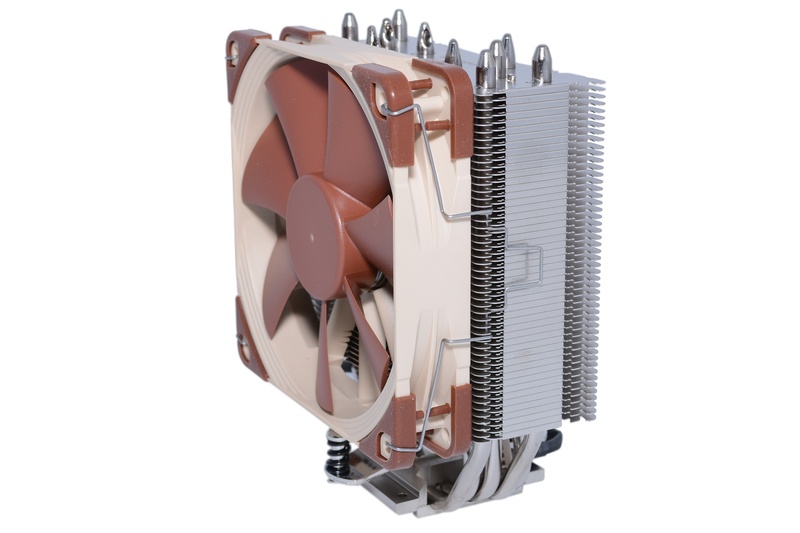 With the NF-A15 PWM fan installed, the cooler measures 78mm deep and weighs 935g. Like its smaller sibling, the NH-U14S heatsink features a copper base, nickel plating and soldered joints, but it has six double heatpipes rather than five. Meanwhile, the NF-A15 PWM fan features the same SSO2 technology that we noted above, while a noise adapter identical to the NH-U12S' is also included. Both the NH-U12S and NH-U14S are backed by a six-year warranty, which should ensure they make it through the life of the platform they are installed on. Speaking of which, the NH-U14S also touts the same platform support as the smaller NH-U12S and as far as we can tell, it only costs slightly more at $75.